Mass of Christian Burial for Roger will begin at 10:00 a.m. on Monday, January 21, 2019 in St. Mary Catholic Church, Dell Rapids. Interment will be in the St. Mary Cemetery, Dell Rapids. Visitation with the family present will be on Sunday, January 20, 2019 at Kahler Funeral Home from 2:00 p.m. - 4:00 p.m. The Christian Wake Service will begin at 4:00 p.m. with the Catholic Daughters Rosary to follow. Roger was born on the family farm in Dell Rapids, on October 8, 1928. The fourth of six children, he was the second son of David and Emma (Christensen) Nelson. 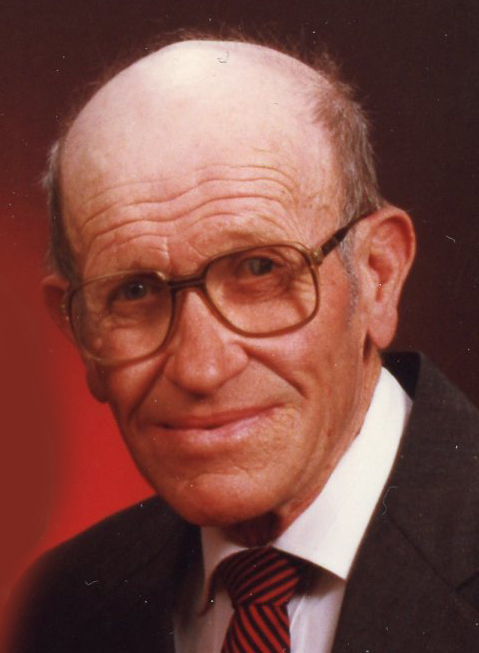 He attended the Nelson Country School through eighth grade and graduated from Dell Rapids High School in 1946. He married Darlene Hansen on June 16, 1955 and they have eight children. Family, Farm and Stories were the anchors of his life. Nothing was as important as his family. He farmed for almost his entire life, and he had a story for everyone. He loved to tell “Ole and Lena” jokes, every event had a story, and every story led to another. Roger also pitched for the Dell Rapids Rox, the local amateur baseball team. He threw for the team that played in the 1951 state tournament, and he taught every one of his kids to play catch early. He passed away on January 16, at home, with his family around him. He is survived by his wife of nearly 64 years, Darlene (Hansen) Nelson, children Jeff (Crawfordsville, IN), Dean (Mary – Apple Valley, MN), children Colin, Christian, Katelyn; Scott (Wendy – Dell Rapids, SD), children Emma, Gabe; Brad (Jonie – Omaha, NE), children David (Kayla), Chris, Ashleigh; Bette Paulsen (Marc – Sioux Falls, SD), children Danny Gustafson, Chelsea (Matt) Sorenson; John (Annette – Littleton, CO), child Zach; Phyllis (Carl Jackson - Valparaiso, IN); Matt (Crooks SD), children, Mikayla, Meghan, Dylan; sister Loraine Ollis (Hull, GA); brother-in-law Tom Van Duzee (Gum Springs, VA); many nieces and nephews. He was preceded in death by his parents, brother David, sisters Dorothy Eriksen, Lucille Smith and Rosella Van Duzee.